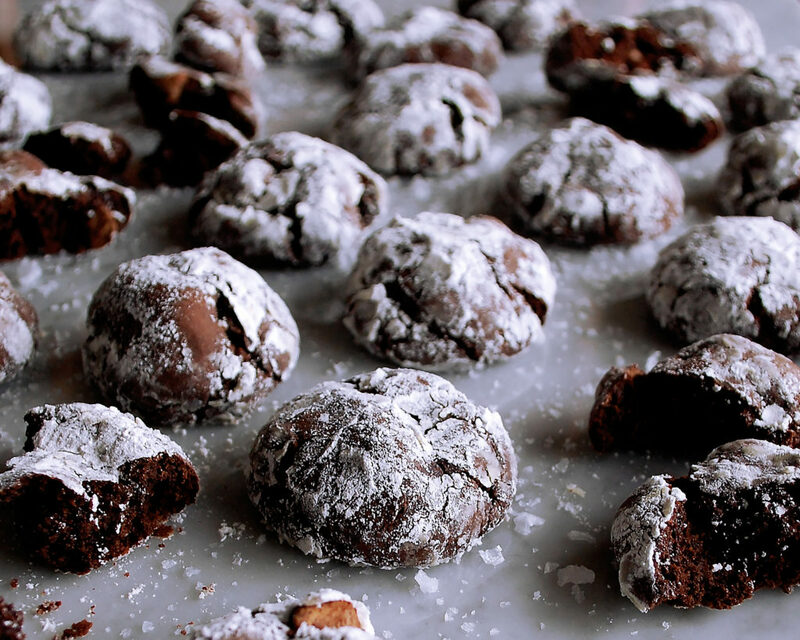 With Christmas just a week away, I’ve got these extra rich, chocolate fudge crinkle cookies high on my to-do list! 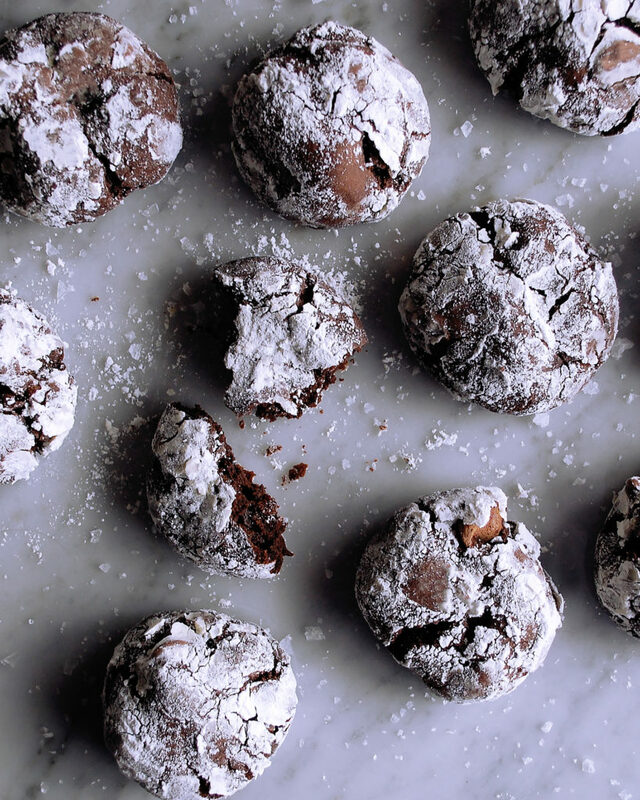 I couldn’t be more excited to share these crinkle cookies with you guys because they turned out to be such a hit! 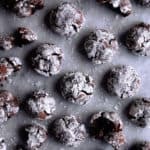 They’re basically everything a chocolate lover wants in a cookie… a decadent chocolate flavor, extra fudgy texture, and a really rich consistency. The chocolate flavor comes through extremely well, and the texture is almost a cross between a brownie and a cake. I think you’re going to love them. The dough itself was good enough to eat by the spoonful… I mean, I had to taste it before baking, right!? So, this is a pretty straightforward recipe, but one thing I want to point out is that the dough needs to chill. Overnight is best, just to ensure you have enough time, but about 4 hours works as well. I kind of like it because you can make the dough the day before Christmas Eve or Christmas Day, chill it overnight, and then they’re ready to bake fresh the next morning. 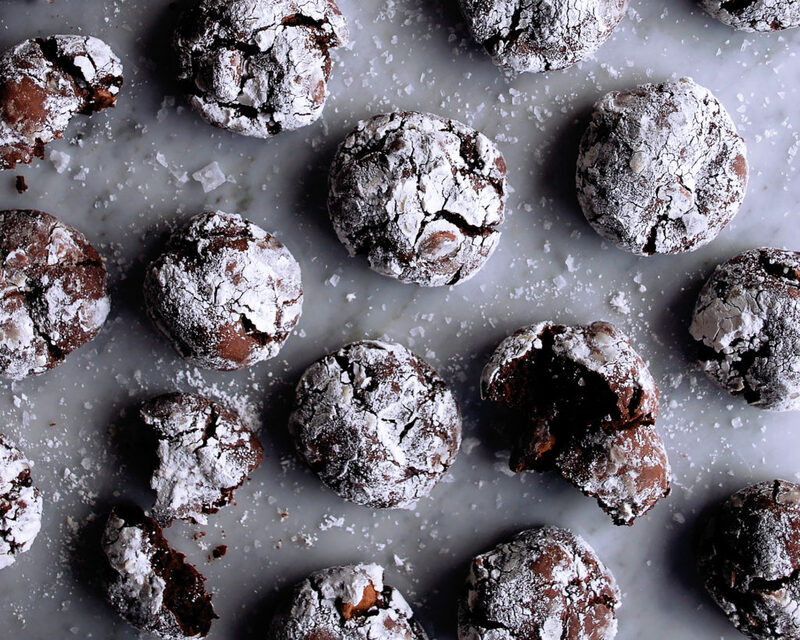 Especially if you have family and friends over, everyone will be loving the intoxicating chocolate smell coming from the oven as the crinkle cookies bake. They only take about 12 minutes, but definitely air on the side of under-baking them for that irresistible fudgy center. Alright, I think I’m going to go bake another batch (and maybe some of these pistachio shortbread cookie sandwiches, too). They are that good. Combine the butter, granulated sugar, and brown sugar in the bowl of a stand mixer. Using a paddle attachment, cream the butter with the sugars until smooth and fluffy. Mix in one egg at a time until incorporated, scraping down the sides and bottom of the bowl as needed. Add the vanilla extract and almond extract. In a separate mixing bowl, whisk together the flour, cocoa powder, baking powder, and salt. Add half of the dry ingredients to the wet ingredients and mix on low speed. Add the remaining dry ingredients and mix on low speed again. Increase the speed and mix until just incorporated, scraping down the sides and bottom of the bowl as needed. Add the chocolate chips at the very end and mix for a second or two until just combined. Don’t overmix the dough. Cover the dough and chill in the refrigerator overnight, or at least for 4 hours. Preheat the oven to 350°F. Pour the powdered sugar into a shallow bowl. Roll the chilled dough into round balls, about 1-2 tablespoons each. 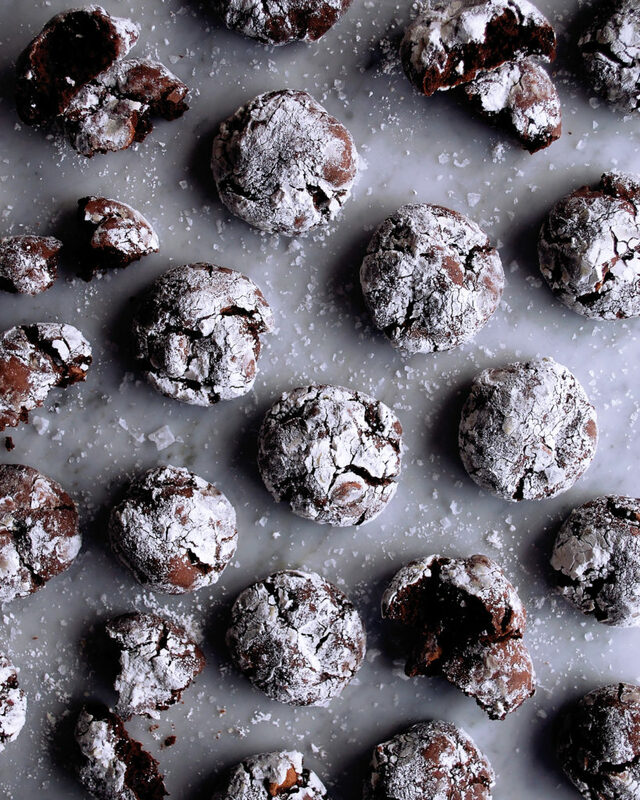 Fully coat each dough ball in powdered sugar and place onto a cookie sheet, about 1” apart. Bake the cookies for 12 minutes. Let the cookies cool slightly before removing from the cookie sheet to a wire rack. Eat warm, or finish cooling completely. These look delicious! The recipe says 4 oz cocoa powder but 1 cup in parentheses. Which measurement should we use? Hi Natalee!! You can measure it either way, it comes out to the same amount. The 4 oz is for if you want to weigh it, and the 1 cup is if you want to measure it by volume. Hope this helps, and I hope you LOVE them! Ps…I updated the amounts to just show one measurement, which is probably easier to understand. Thanks! Cover the dough and chill overnight, or at least for 4 hours. Freezer? Refrigerator! I’ll update the recipe to include that. Thank you! Is it 1/2 stick of butter or 1 1/2 sticks of butter? Hi Karina! It is 1 1/2 sticks of butter (or 12 tablespoons). Hope you love them.